Carlos Villanueva is a pitcher for the Chicago Cubs. He’s had a terrific start to the season thus far and it has absolutely everything to do with his stylish steesh. It’s refreshing to see a nice mustache on an MLB player after having to look at Joba Chamberlain and Ian Desmond during spring training. 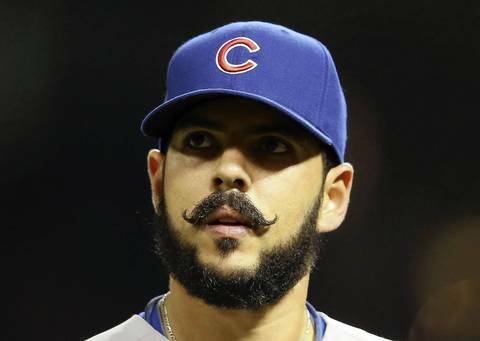 This entry was posted in Uncategorized and tagged Baseball, baseball player, carlos, carlos villanueva, Chicago, Chicago Cubs, comedy, desmond, entertainment, Humor, ian desmond, joba chamberlain, MLB, mlb player, Moustache, mustache, pitcher, sports, spring training on April 26, 2013 by Los Bulls. that mustache is top notch!